Looking down on the platform from the top of the escalator feels like you’re about to plunge over a precipice into an unknown below – will it be a deep pool, or full of jagged rocks? Will there be minnows, or will there be sharks? Perhaps the most interpretive, impressionistic image of my commuter diary so far. 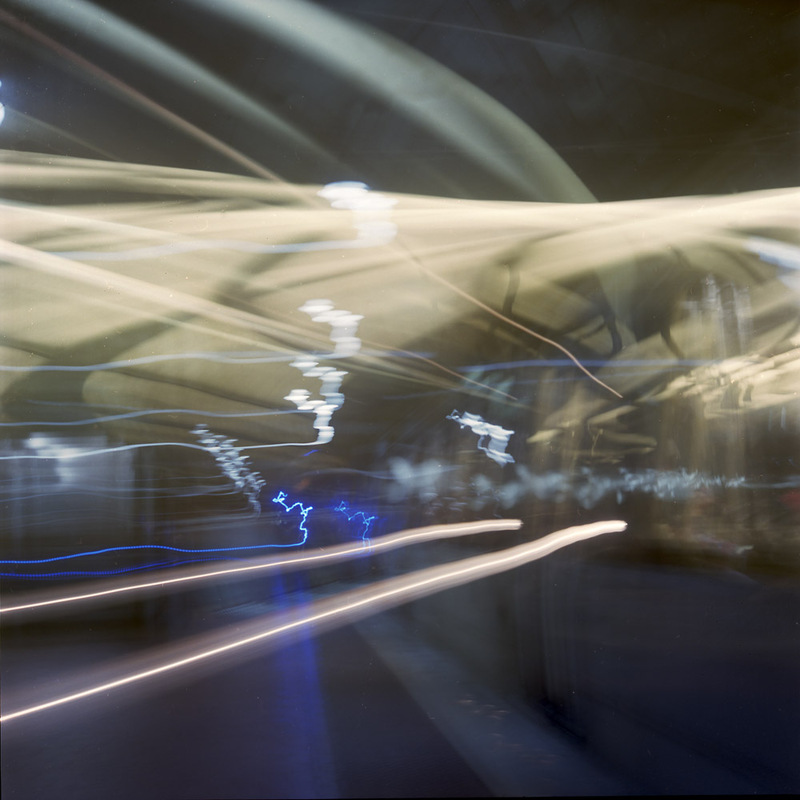 Another long exposure where I panned the camera along with the train as it pulled in to the station. The panning along with the motion blur and the different lengths of time moving vs still give a uniquely layered image that requires you to engage and investigate to understand. I’m getting more and more intrigued by this style of exposure – the truly non-literal photograph. 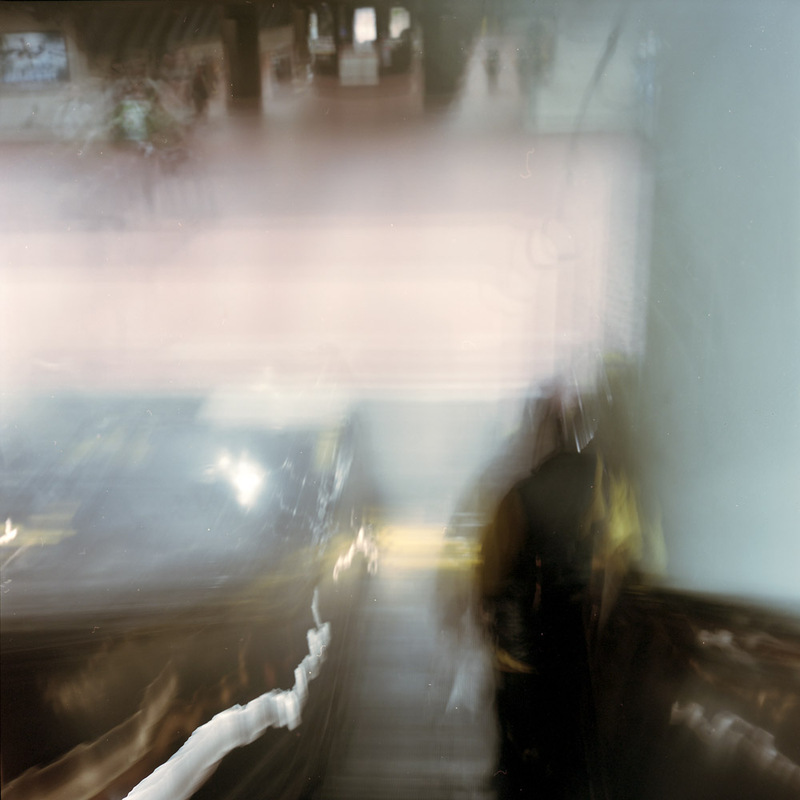 Riding the down escalator with the shutter held open leaves nothing constant except the passenger in front of me. 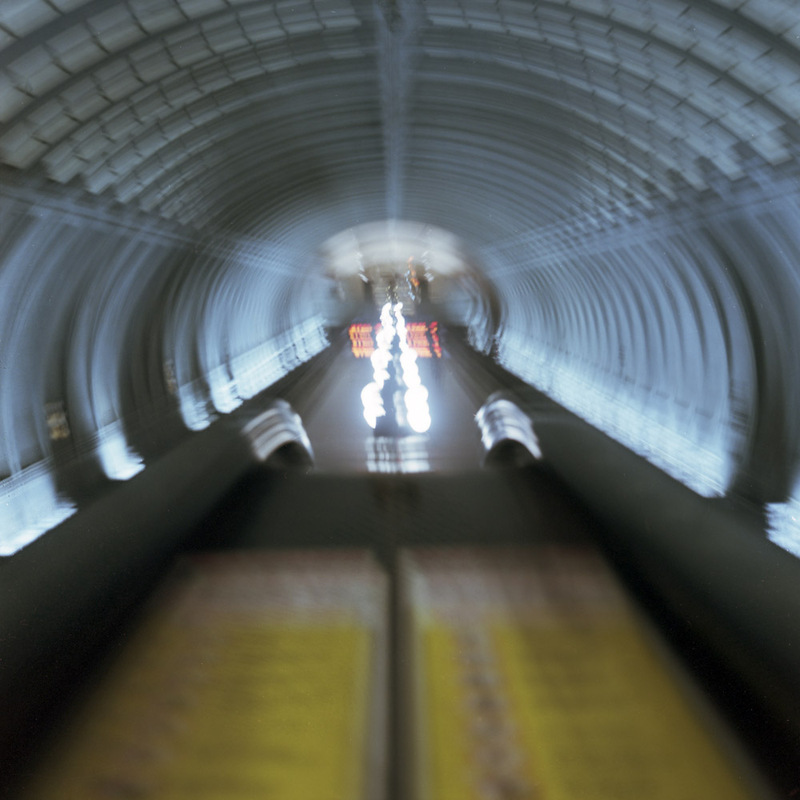 The changing perspective of the descending escalator puts the station entrance above where you would expect it to be. a far more literal, sharp, precise image of a departing train. 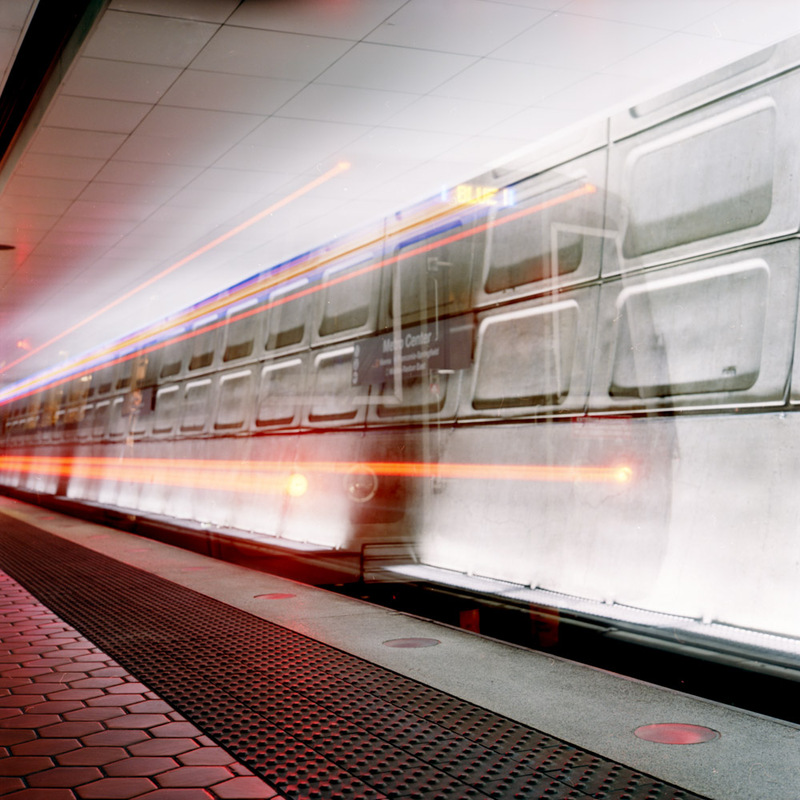 This is the first image in this series I’ve done with a tripod, because I wanted to catch the back of the train with some clarity before it departed. I’ll try it again later handheld and see which I like more. This has its charms even with the sharpness because the lights moving in a straight line are in some ways more forceful and direct. You weren’t hassled by Metro for using a tripod? No. I think it was in part because a: I was at the end of the platform and not blocking traffic, and b: the tripod was at minimum extension so it was barely visible anyway.